Posted on December 10, 2012 by Eric Bonnici wrote in Amherstburg Restaurants, Burgers, Featured Amherstburg Restaurants, Featured Pubs, Fish and Chips, Pubs. It has 0 Comment. 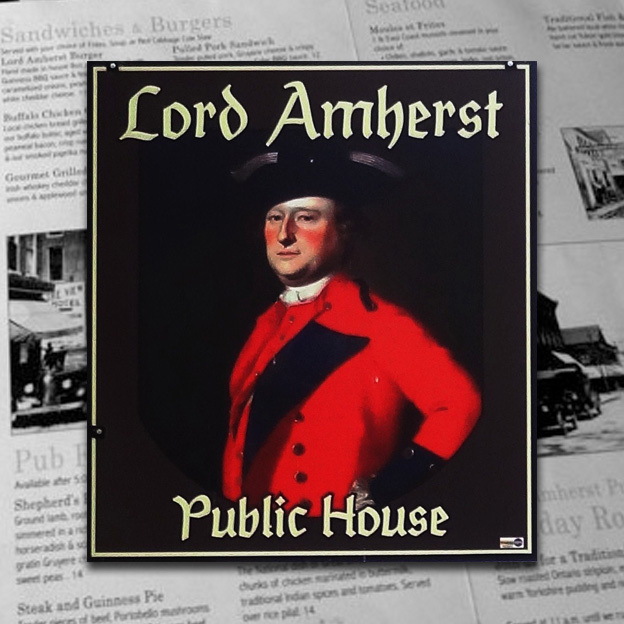 The Lord Amherst Public House is a welcoming Old English Style pub located in a 200 year old historic building in the heart of charming Amherstburg. The pub, like the town, is named after Lord Jeffrey Amherst who was the first Governor General of British North America. Lord Amherst acquired Canada for England by defeating the French when he was commanding general of the British forces. For almost 200 years the corner of Murray and historic Dalhousie Street, where this pub is located, has been the centre of town where people have gathered to socialize and enjoy family and friends. Throughout history, this location has hosted locals, farmers, sailors, soldiers, and rum runners too. The Lord Amherst is known for great food and wide selection of beer, wine, and whiskey. The many choices of bottled and beer on tap is made up of worldwide varieties and the best Ontario brews too. Beer enthusiasts will find one of the most extensive beer lists in Essex County at the Lord Amherst. In addition, a great selection of local Essex County wines are available too. After all, Essex County’s long history of wine making, exceptional climate and soil conditions results in some of the best wine in the world. 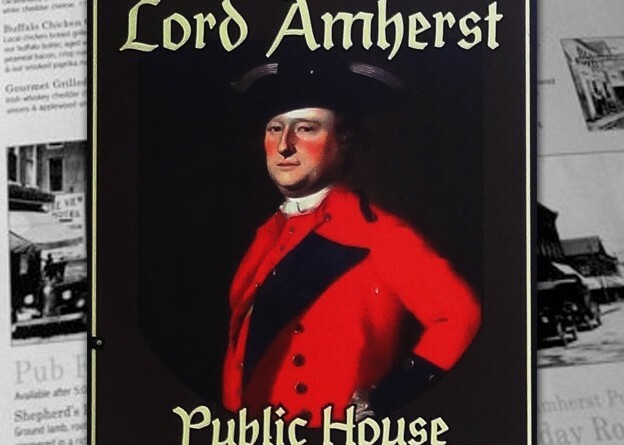 The Lord Amherst understands Amherstburg’s long history of producing alcohol. In fact, one of Canada’s first distilleries was built alongside the Navy Yard Wharf in Amherstburg. During the U.S. Prohibition rum runners regularly visited Amherstburg for its infamous Rye produced at what today is the Seagram’s factory. At the Lord Amherst the traditions continues with more than 33 different choices of whiskey from countries like Canada, USA, Ireland and Scotland. The food boasts superior quality that goes beyond average pub fare. The Old English Style menu focuses on traditional pub dishes prepared in house using fresh, local ingredients. It was created by Chef Ryan Hatton who has spent years developing his culinary skills (including while cooking at resorts in Banff). Customers are raving about the excellent above par pub fare at The Lord Amherst. Attentive friendly service is the final element that gives this pub an atmosphere inline with what Amherstburg is all about.